she has worked as a rehearsal pianist, coach, and assistant conductor for many prominent opera companies and organizations. Highly sought-after as a collaborator for voice recitals, she has recently appeared in performance for the Montreal Symphony Orchestra’s “Virée Classique”, L'Opéra National de Paris, and Music Toronto. In January 2017 she partners baritone Phillip Addis in recital at the Canadian Opera Company. Other performances include recitals for the Queensland Music Festival (Australia), Calgary Opera, Festival Orford, Stratford Summer Music, and many other venues in Canada, the USA, and Europe. 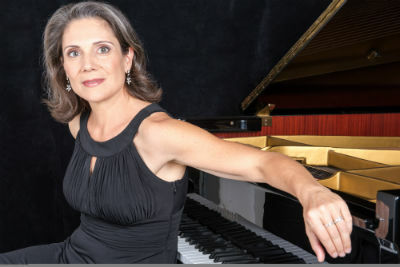 In 2011 she was awarded the Best Collaborative Pianist Prize at the Eckhardt-Gramatté National Music Competition and accompanied thirteen performances across Canada on the National Winner's Tour. Performances have been broadcast on CBC Radio, Radio-Canada, Classical 96.3 FM and Vermont Public Radio. Engaged as a répétiteur and official audition accompanist by Calgary Opera, l'Opéra de Montréal, Opera Atelier and Pacific Opera Victoria, Ms. Hamper was production director for a performance based on Manon at the Muskoka Opera Festival in 2013. Her genuine interest in new music has resulted in engagements with Soundstreams Canada and Tapestry Opera, the workshopping of a new opera with Manitoba Opera, and the commission of a cycle of four songs by composer Erik Ross and poet Zachariah Wells. Emily maintains a passion for teaching and mentoring, having served on the faculty of Wilfrid Laurier University, the Vancouver International Song Institute, the University of Toronto, l'Université de Montréal, and the Banff Centre. She was invited by Dolora Zajick to join the faculty of the Institute for Young Dramatic Voices in 2014. Emily is co-artistic director of the Stratford Vocal Academy, an élite training program for singers in Stratford Ontario which she co-founded in 2015. In addition to her work with singers, Ms. Hamper performs frequently as orchestral keyboardist with the Kitchener-Waterloo Symphony and as a chamber musician with the Factory Arts Ensemble, Stratford. Born and raised in the Vancouver area, Emily received her undergraduate musical training at UBC. She furthered her studies at the Opera Division at the University of Toronto, where she was appointed to the music staff upon graduation. She is an alumna of the prestigious Merola Opera Program at the San Francisco Opera, and was the recipient of a Merola Career Grant for studies in Munich. She currently lives in Stratford, Ontario.